Well, to prove this is the worlds worst blog, I haven't even posted about SPACE or TCAF, and here it is CAKE 2014, or CAKE 3 "the return". 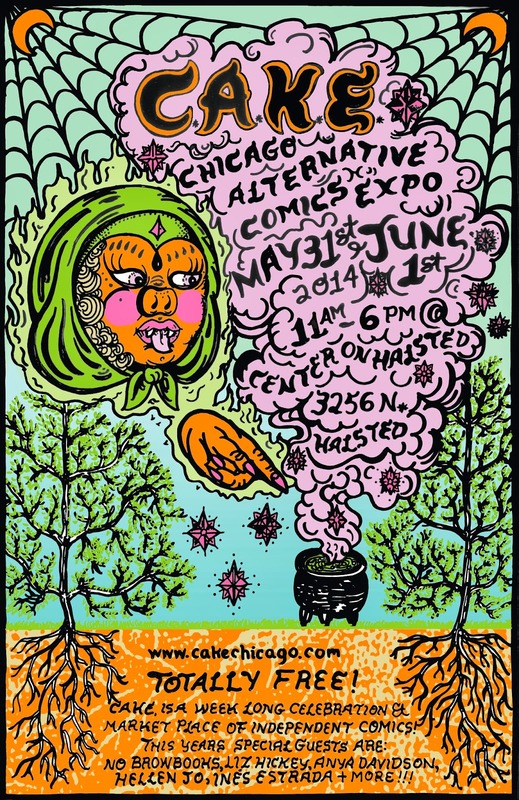 Anybody who knows me, knows about CAKE, but for those that don't live in Chicago, CAKE is the Chicago Alternative Comics Expo, and I help to organize it. It's this weekend, and it's gonna be incredible. A ton of hard work has been put into the show and a ton of talented artists will be on hand, so please show up and spend some money. 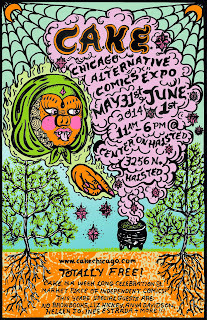 I'll be making occasional appearances over at the top shelf booth when I'm not running around putting out fires. See you there!